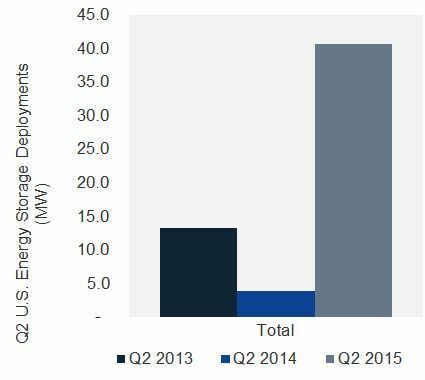 The U.S. energy storage market had its best quarter in two and a half years. 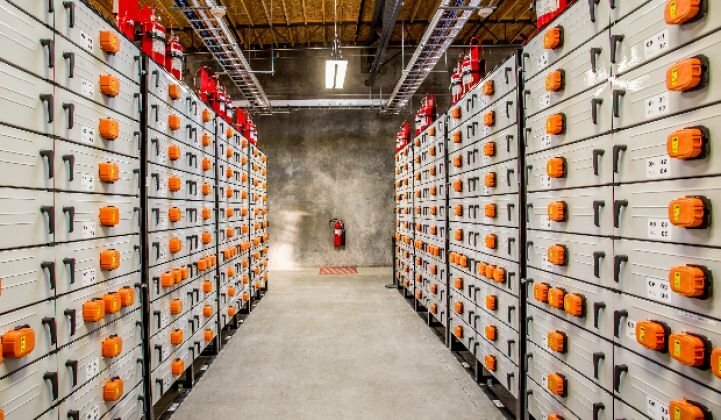 According to the latest edition of GTM Research and the Energy Storage Association’s U.S. Energy Storage Monitor, 40.7 megawatts of energy storage were deployed in the second quarter of the year, a ninefold increase year-over-year. According to the report, the largest driver of the growth was the interconnection of a 31.5-megawatt project in the PJM region. It’s the single largest project to come on-line since the fourth quarter of 2012, when the 36-megawatt Notrees project was interconnected in Texas. The front-of-meter segment accounted for 87 percent of storage deployments during the second quarter of the year. Looking behind the meter, the non-residential market had its best quarter in history, deploying 4.9 megawatts. A big share of this growth came from California, where the massive pipeline of SGIP-approved projects finally began to be interconnected. The residential market grew an impressive 61 percent over last quarter. However, it’s coming from a much smaller base than the utility and non-residential market segments and represented just 1 percent of the quarter’s deployments. The majority of storage deployed in the United States is concentrated in a few markets. The report notes that California is the largest market for both the residential and non-residential market segments. Since the first quarter of 2013, 1.3 megawatts of residential and 10.8 megawatts of non-residential storage have been deployed in California. During the same time period, PJM (excluding New Jersey) saw the deployment of 100 megawatts of utility-scale storage. That’s more than four times what California, the second-ranked utility-scale market, has deployed since the first quarter of 2013. To learn more, download the free executive summary here.